Pakistan yesterday hanged four men linked to the Taliban massacre of 144 students at a school in December 2014 in Peshawar. 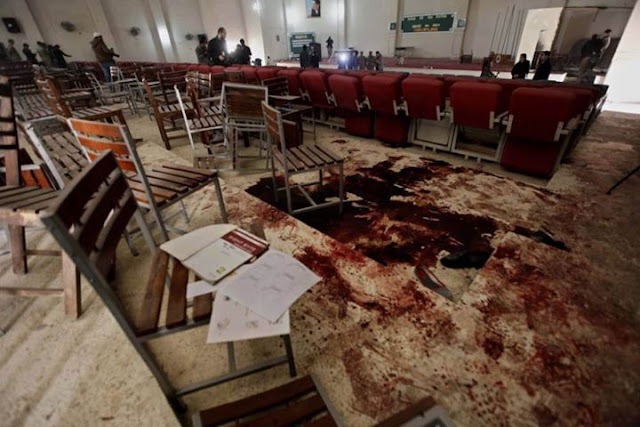 It may be recalled that on 16 December 2014, terrorists barged into an army run school and mercilessly killed 144 students, besides six others. The parents of victims have reacted to the hanging by saying they deserved 'no forgiveness' for their actions.